Need a budget-friendly new spot? Though apartment hunting can be challenging, don't despair just yet--there are deals to be had. So what does the low-end pricing on a rental in New York City look like these days--and what might you get for the price? We took a look at local listings for studios and one-bedroom apartments in New York City via rental site Zumper to find out what price-conscious apartment seekers can expect to find. This one-bedroom, one-bathroom apartment, situated at 794 Stafford Ave. in Rossville-Woodrow, is listed for $1,150/month. Apartment amenities include a mix of hardwood and tile flooring, a ceiling fan, wooden cabinetry and granite countertops. Cats and dogs are not welcome. Walk Score indicates that this location is somewhat walkable, is somewhat bikeable and has a few nearby public transportation options. And here's a one-bedroom, one-bathroom apartment at 30 Hemlock Lane (at Sanford Street & Myrtle Avenue) in Charleston, which is going for $1,200/month. The apartment features hardwood floors, large windows, closet space, wooden cabinetry and granite countertops. Pet owners will be sad to hear that cats and dogs are not permitted. According to Walk Score's assessment, the area around this address is car-dependent, isn't particularly bikeable and has some transit options. Over at 14 Covington Circle in Rossville, there's this one-bedroom, one-bathroom abode, also going for $1,200/month. In the apartment, look for tile flooring, high ceilings and stainless steel appliances. Pets are not permitted in this unit. Per Walk Score ratings, the area around this address is car-dependent, isn't particularly bikeable and has a few nearby public transportation options. Listed at $1,200/month, this 1,782-square-foot one-bedroom, one-bathroom apartment is located at 30 Rye Ave. in Arden Heights. In the unit, expect to find hardwood floors, built-in storage features, generous closet space, wooden cabinetry and ample natural light. Animals are not welcome. According to Walk Score's assessment, the surrounding area is friendly for those on foot, isn't particularly bikeable and offers many nearby public transportation options. To wrap things up, there's this 480-square-foot one-bedroom, one-bathroom apartment at 3128 Villa Ave. in Bedford Park-Fordham North. It's being listed for $1,200/month. 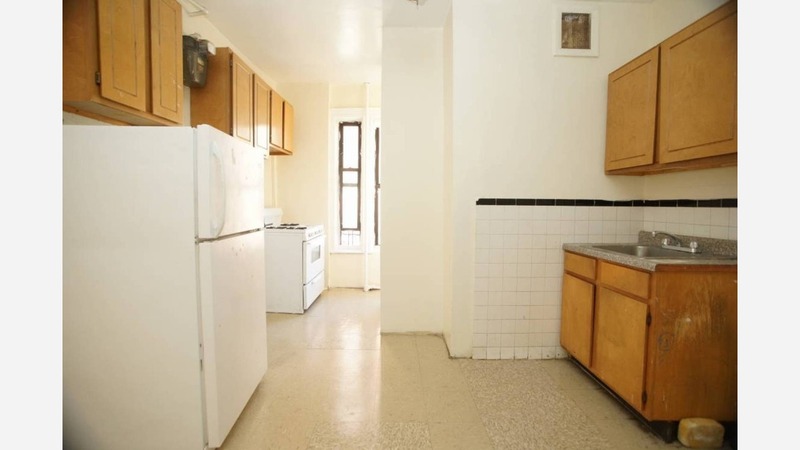 Apartment amenities include a stove, closet space, ample natural light and wooden cabinetry. Cats and dogs are not allowed in this unit. According to Walk Score, this location has excellent walkability, is quite bikeable and is a haven for transit riders.